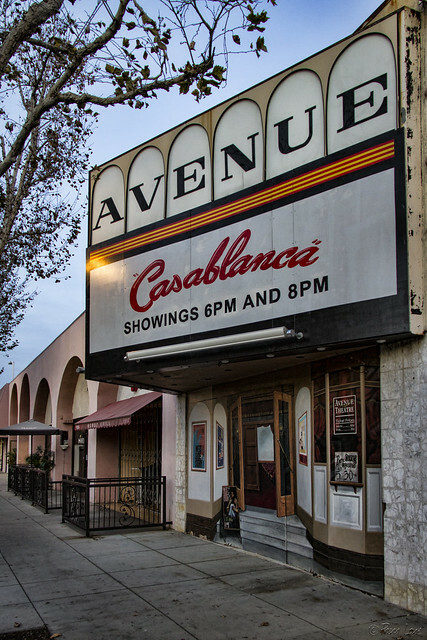 The Avenue Theater in downtown Downey is only a facade. The original facade showed the opening of West Side Story (see The Avenue Theater - now and then). But after some vandalism destroyed some of the facade, it was repaired, and when it "reopened," Casablanca is now on the marquee. "Of all the gin joints, in all the towns, in all the world, she walks into mine…"